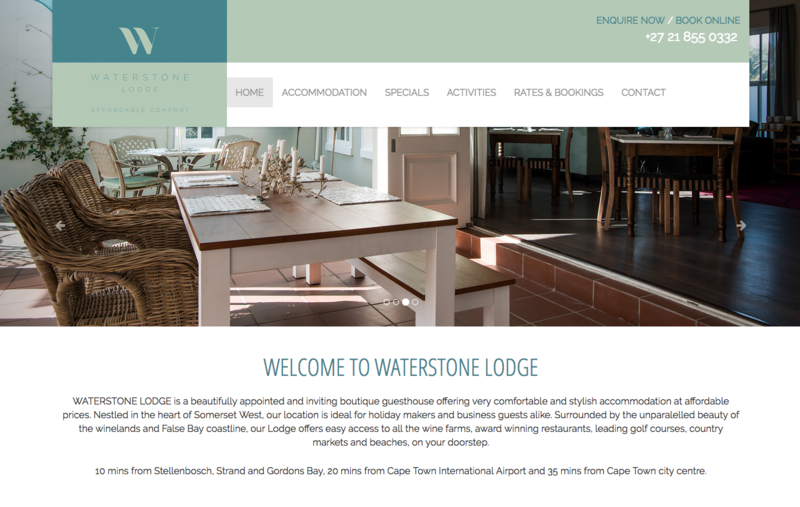 WATERSTONE LODGE is a beautifully appointed and inviting boutique guesthouse offering very comfortable and stylish accommodation at affordable prices. Nestled in the heart of Somerset West, our location is ideal for holiday makers and business guests alike. Surrounded by the unparalelled beauty of the winelands and False Bay coastline, our Lodge offers easy access to all the wine farms, award winning restaurants, leading golf courses, country markets and beaches, on your doorstep.